Exporting your Customer data can be a huge benefit your business. 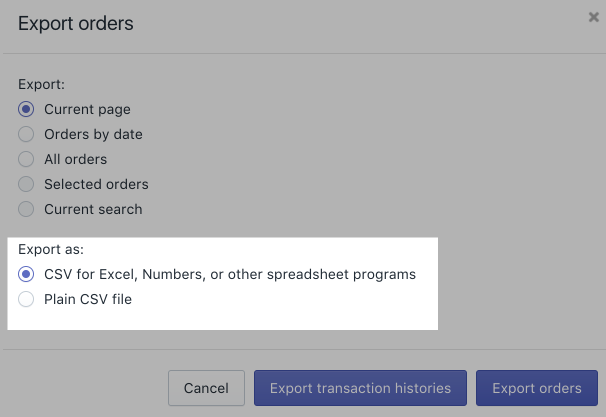 Although you are not able to export buyer data in the Viralstyle Fulfillment app, you can export a comma-separated values (CSV) spreadsheet of your orders from the Orders page of your Shopify admin to see a broad overview of your complete order information. a.) Select the option for the orders that you want to export. For example, if you want to export your orders by date, then click Export orders by date and set the start and end dates for the orders that you want to export. 4. Click Export orders to download your orders including their order histories to the CSV file:If you want to download your transaction information only, then click Export transaction histories. Learn more from the Shopify Help Center article below.